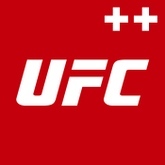 Tweak for UFC app that gives full access to all features on your Apple device. The UFC app is the ultimate tool for the dedicated fight fan! The world's biggest fight library, featuring UFC events plus PRIDE FC, STRIKEFORCE, the WEC, and more. Updated at: Sept. 18, 2018, 11:29 a.m.